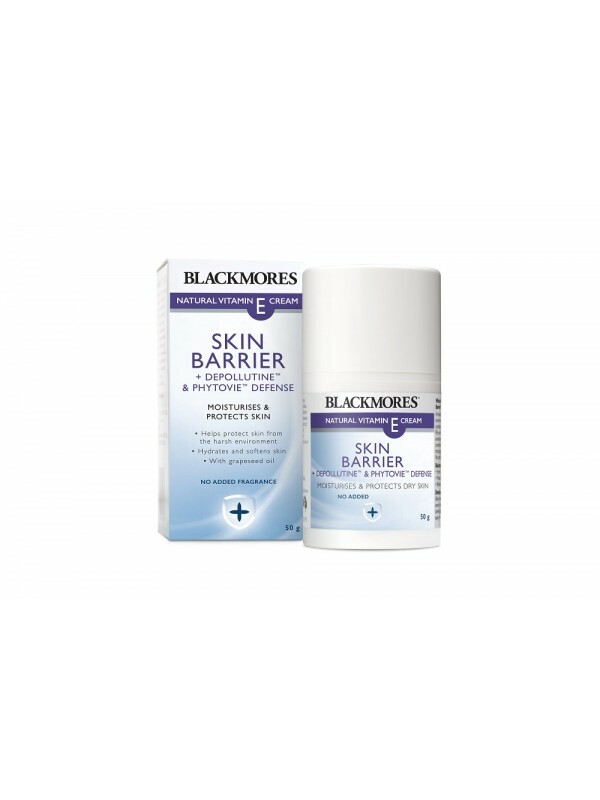 Blackmores, Australia’s leading natural health brand, improves peoples’ lives by delivering the world’s best natural health solutions, to become peoples’ first choice in healthcare. We achieve this by translating our unrivalled heritage and knowledge into innovative, quality branded healthcare solutions that work. Our high quality product, reliable free health advisor services are among the many reasons. Blackmores is the most trusted name in natural health. Blackmores Natural Vitamin E Cream Skin Barrier is a moisturising cream with Depollutine™ and Phytovie™ to help protect skin from the harsh environment. It also hydrates and softens the skin. Antioxidants such as Vitamin E are naturally present in the skin, especially the surface layers, and helps to maintain skin health. It provides antioxidant protection to the skin’s cells from certain harmful compounds, whilst also having a skin conditioning effect. Vitamin E status may be supported by either internal or topical sources. A decrease in nutritional status can alter the structure and function of the skin, resulting in irregularities such as dry skin.